Roasted butternut squash is pure and simple. Wholesome, velvety, luscious. And it’s so simple to make. 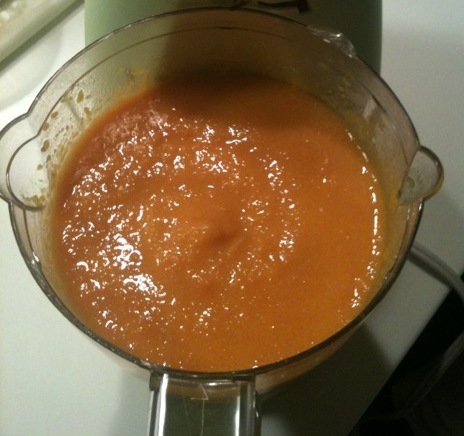 Tonight, I roasted and pureed a whole squash in about 40 minutes. I have to admit, I expected it to be a chore — I usually purchase peeled and diced butternut squash in a package for cooking, but my grocery store was out of it. 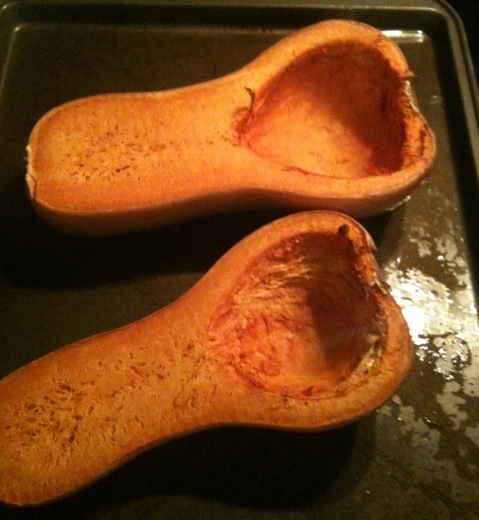 In fact, roasting a whole squash and then pureeing it was easier. I was amazed. 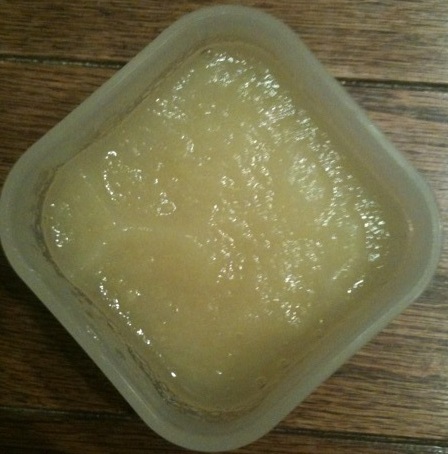 Tomorrow I’ll mix two ounces of butternut squash with two ounces of organic apple puree for Mason’s lunch (recipes and how-to steps below!). 2. Scoop out the seeds with a spoon. 3. Spray a bit of olive oil on a baking sheet, place squash on sheet, and roast on 400 degrees. Check the squash in 30 minutes. If it isn’t soft and scoopable with a spoon, keep adding 5 minutes of roasting time until it is. 4. Remove squash from oven and let cool. 1. Scoop flesh out of a roasted squash (directions above). Discard the skin.